A new annum is upon us and indicators show that Alberta is looking at a brighter one. As a commercial, industrial, or municipal interest planning your construction project for 2017 (and beyond) you have a lot to consider. Whatever your project (or projects) may be, you are looking at ways to do things better. In the spirit of the season, Apple Building Systems has provided a playful but no less true look at how you can apply common New Year resolutions to your next build. On the top of many New Year resolutions, is increased energy efficiency. While the individual can make a positive impact, corporations and organizations can have a very noticeable one when it comes to their physical properties. But not only is green building the right thing to do (for the environment), it can result in greater energy efficiency, resulting in greater financial savings. The next step before solidifying plans for your next build? Educate stakeholders on green building initiatives in Alberta. Growth is only accomplished when one goes outside of their comfort zone. When it comes to your business or organization, the same applies. One look at the economy of the past couple of years shows that status quo needs a bit of a reboot. Consider this in the construction of your next property. Traditional building methods, while still relevant, may be antiquated for your purposes. Take a look at these modern construction concepts that are taking Alberta by storm. There is a reason for this change in construction methodology. Evolution is taking over. These concepts include the use of insulated concrete forms (ICF), pre-engineered steel building, and more customized design-build. ICF construction (search ICF in Central Alberta) in particular is seeing the biggest growth, and is going to move from new to mainstay very soon. Early adopters will reap the benefits. A makeover that improves your aesthetics can go a long way in gaining favour with the public (we’re talking about your business property here, not personal hygiene). You don’t need to be in the midst of planning an entirely new building development. Our construction company has been a part of some very important commercial/industrial renovations in Central Alberta. Perhaps a makeover/upgrade is on your 2017 horizon too? This resolution also directly applies to the aesthetics of your construction site. Follow these five tips to maintaining a more attractive construction site, which are not only functionally sound (for site safety, etc. ), they perform a very positive public relations service too. In the end, resolutions are all about growth. If your business has been operating in the Central Alberta hubs of Sylvan Lake and Red Deer, perhaps it’s time to expand into other markets too? There are other fiscally lucrative towns (view five here, and four more here) in Central Alberta that Apple Building Systems can help you expand to. Within one (or more) there may be a niche population that perfectly matches your target market. 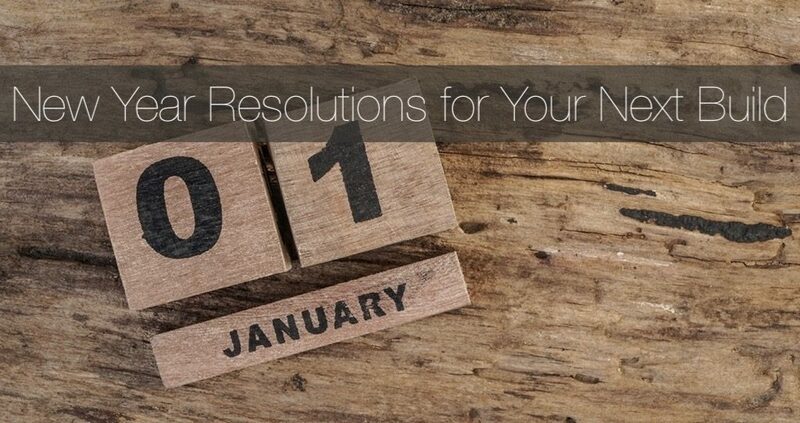 It doesn’t hurt to have a helping hand in getting your New Year construction resolutions off of the ground. If your enterprise is located in Central Alberta, that helping hand is right here. Contact Apple Building Systems, anytime.